CROSSOVERS and SUVs have become so ubiquitous that to stand out in a crowded field you need to do something a little bit different, writes William Scholes. 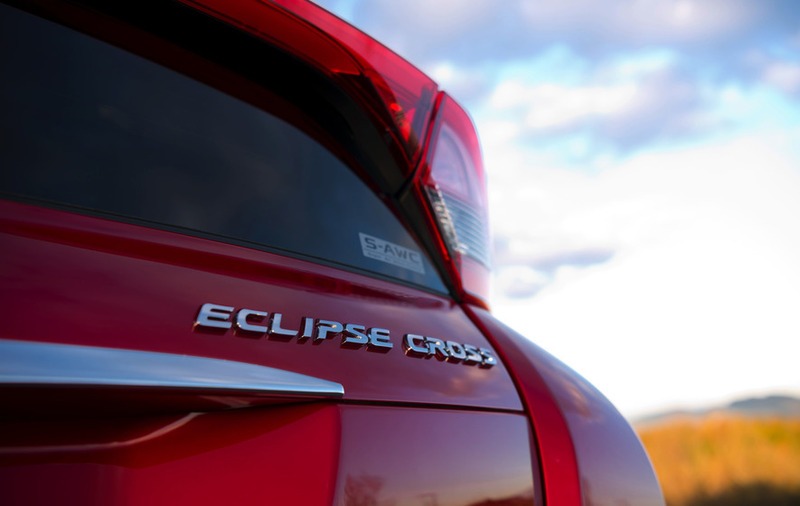 That's clearly the approach that Mitsubishi has adopted with its latest SUV, dubbed the Eclipse Cross. Aimed at the overcrowded part of market in which everything from the Nissan Qashqai, Kia Sportage, Hyundai Tucson, Ford Kuga, Renault Kadjar and Mazda CX-5 - and I could go on... and on - jostles for position, Mitsubishi has decided to do something a bit out of the ordinary. As you can tell from the pictures, the Eclipse Cross is a sleeker looking proposition than we usually see in this class of car, aided by a low - almost coupe-like, if you squint a bit - roofline. In this regard, it is not unlike Toyota's C-HR; both manage to look somehow more futuristic than their rivals, though in the Mitsubishi's case the sense is enhanced further by an unorthodox split rear tailgate window. Other examples of clever thinking can be seen inside the Eclipse Cross, where the back seats slide fore and aft. Other cars do this but not, it seems, to the same extent of travel as the Mitsubishi. This means that you can conjure up limousine levels of rear legroom, helping to take advantage of the fact that the Eclipse Cross's wheelbase is taken from the larger Outlander. You do sacrifice some boot space in the process - the tailgate design is a factor, too - but it's nice to be able to have the option to be flexible with your luggage/passenger ratios. The boot's volume varies between 448 litres and 653 litres; handily, the parcel shelf can be stored under the boot floor. The arrangement is given further flexibility thanks to the 60/40 split in the rear bench, as well as the seats' recline adjustment. In fact, Mitsubishi says there are eight different recline settings and that the seats can slide 20cm. 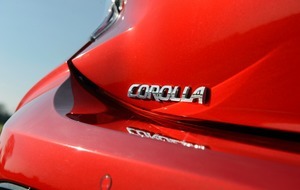 Nor is rear headroom compromised in the way that the striking silhouette might suggest. Some, but not all, contenders for your family SUV cash can be ordered with four-wheel-drive. The Mitsubishi is firmly in the 4x4 camp, and it is a technology with which the Japanese brand has a lot of experience. 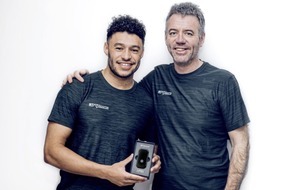 The world rally championships won by Lancer Evos may be in the past, but the sophisticated four-wheel-drive control systems of those cars lives on in Eclipse Cross just as it does in the Outlander; it gives Mitsubishi some real credibility in the 4x4 market, further aided by the sheer toughness of products like its jumbo Shogun and L200 pick-up. On the Eclipse Cross, the four-wheel-drive system has three modes: auto, gravel and - what would have been useful last week - snow. Opt for four-wheel-drive and your only gearbox choice is a CVT auto; otherwise you shift gears manually with a six-speed 'box. The CVT incorporates eight 'stepped' ratios and manual override from steering wheel paddles. The front-wheel-drive car can also be had with the CVT. For now, just one engine is offered. 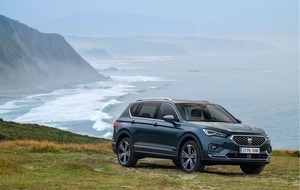 It is an all-new 1.5-litre turbo petrol unit, tuned to make 161bhp and 184lb.ft, outputs which put the Eclipse Cross towards the top of the class when compared to competitors. 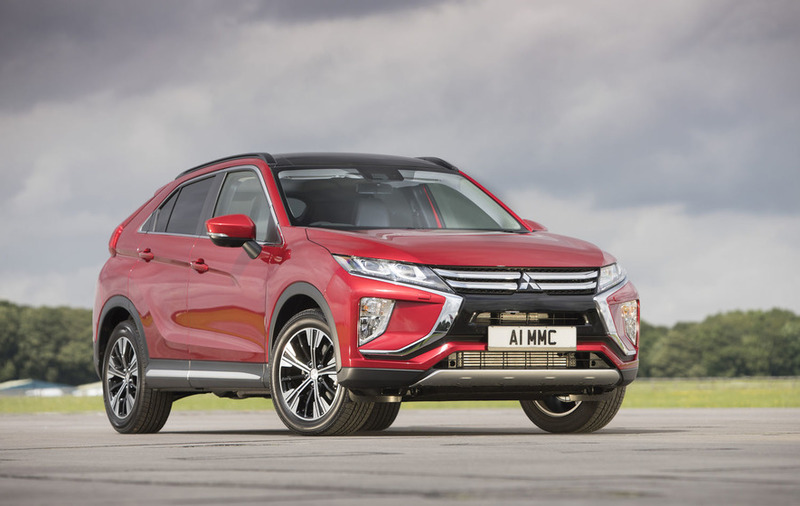 Mitsubishi has pitched the Eclipse Cross towards the smarter end of the broad family SUV sector, with high equipment levels across the range. 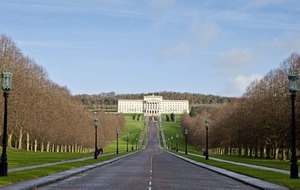 As with Kia, trim levels follow a numerical system and rise in poshness from '2' to '3' to '4'. The entry-level 2 costs from £21,275 and comes loaded with smartphone mirroring, a rear-view camera, DAB radio with six speakers, Bluetooth, cruise control, climate control air conditioning, 16-inch alloy wheels, LED daytime running lights and a touchpad controller. On top of a five-star Euro Ncap rating, safety kit includes lane departure warning, forward collision mitigation that uses radar technology to detect a risk of collision, ABS, active stability control, hill start assist, brake assist, seven airbags, dusk and rain sensors and automatic headlamps. Move up to the '3' and the alloy wheels grow to 18-inches in diameter and you gain a head-up display, heated front seats, parking sensors, dual-zone climate control, keyless entry and start and electrically folding door mirrors. A front-wheel-drive Eclipse Cross 3 costs £22,575 with the manual gearbox and £23,850 with the CVT manual. Add four-wheel-drive, and your friendly Mitsubishi dealer will ask for £25,350. The range-topping 4 model has leather trim, an electrically-adjustable driver's seat, electric opening panoramic roof and a Rockford Fosgate sound system with nine speakers. It also has LED headlamps, 360-degree parking camera, blind spot warning, rear cross-traffic alert, lane change assist and, on CVT cars, adaptive cruise control. Prices start at £24,975 for a front-wheel-drive manual '4' and rise to £27,900 for the 4WD automatic. If petrol-power isn't for you, hold on until later in the year when a 2.2-litre diesel, paired with four-wheel-drive and a conventional eight-speed automatic gearbox, is due to arrive. 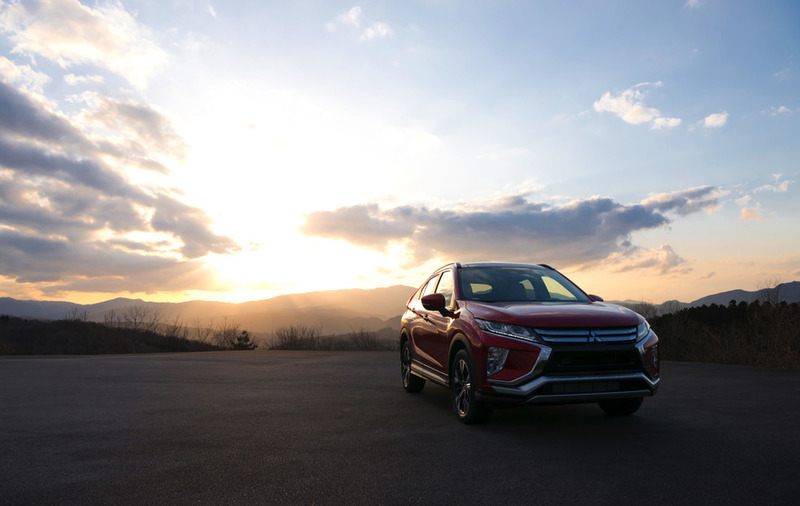 Mitsubishi says the Eclipse Cross represents something of a reboot for the marque, a sort of calling card for its future products. If that's the case, then it is on to a good thing; the Eclipse Cross is a well balanced, thoughtfully designed car that deserves to appear on family check lists along with the oh-so-predictable Qashqai and Tucson. It is a crossover that dares to do something a bit different - and succeeds.